Silent but violent: The Passion of Joan of Arc. 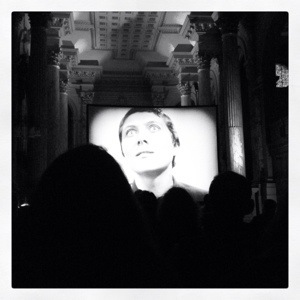 From a screening of The Passion of Joan of Arc in a Cathedral accompanied by a live score, to Joan Collins’ movie Empire of the Ants (so bad it’s rad) hosted by Joan Collins herself…. *, Birmingham’s Flatpack film festival is nothing short of excellently eclectic. Contrary to the title, there’s no Ikea furniture in sight. ‘Flackpack’ refers to the make-shift, vibe of the event: un-pretentious and slotted together with simplicity and care by people that just adore film. It’s a chance to experience movies from all angles as well as discovering the artistic undercurrent bubbling beneath bohemian Birmingham. Now in its seventh year and, for the first time, spreading over eleven days to accommodate two weekends, it’s a testament to the quality and quantity that Flatpack provides. Our visit began with a showcase of inspired music videos which was a refreshing reminder that you don’t have to have to hire ‘honeys’ and hunks to the cast of a music promo. Flying Lotus’ Until The Quiet Comes (directed by Kahlil Joseph) was a beautiful example of how electronic hip-hop music can create cinematic poetry. 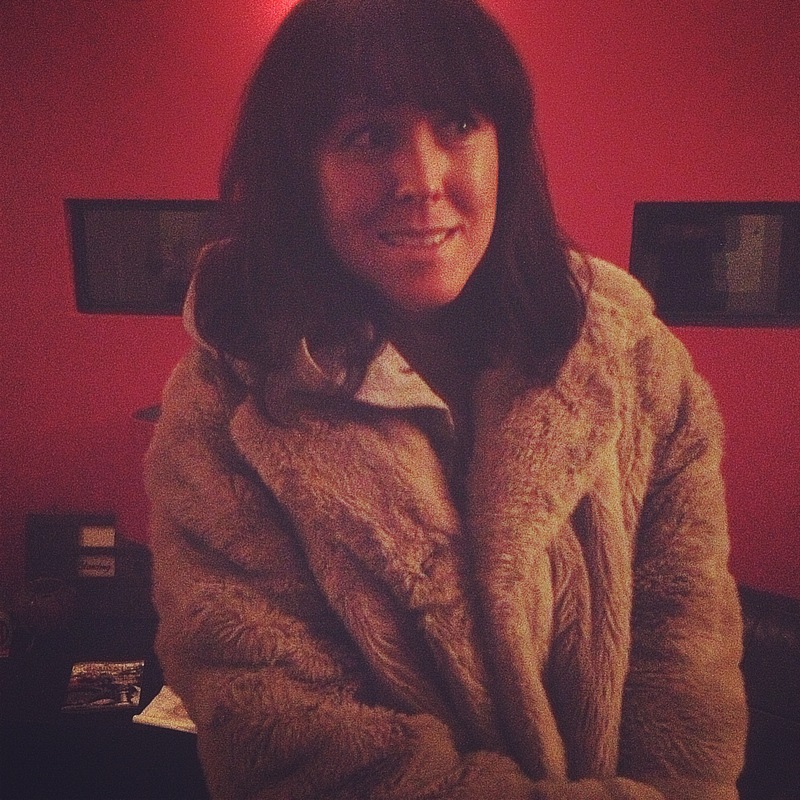 In the documentary corner, Grey Gardens was presented by actress, comedian and director Alice Lowe (from the deliciously dark Sightseers). She selected the film due to the inspiring qualities of the eccentric mother-daughter relationship which sees the reclusive socialites grow old together with a lot of grace yet surrounded by the kind of grime that almost results in eviction. Alice hailed the glamorous socialites, both named Edith Beal, as true bohemians and expressed her fascination of witnessing their collapsing world in all its grand yet flea-ridden glory. It’s not all sitting in the dark gazing at a screen. The Name’s Not Bond was a meaty discussion conducted by relevant industry bods chewing the fat on the very important discussion on the future of British cinema. After a workshop on how to market a 90’s classic such as Kes or Fish Tank with modern-day marketing we were left with the question of: How would a British film brand work? Of course funding and profits come in to these answers. In response to the importance of providing financial support to home-grown talent, a screening of Flying Blind directly followed produced by Bristol-based producer Alicia Sterling who took a spot on the panel. She revealed that her film would never have seen the light of day had it not been for iFeatures – an initiative to support film projects focusing on Bristol and on budgets of £350,000. After watching the high-quality of this low-budget emotional drama due for theatrical release in April, it’s clear that these discussions, support organisations and film festivals are integral to the upheaval of un-mainstream cinema. It’s encouraging to see the crowds come from around the country to get a fix of uncommercial film. Even the duvets of snow couldn’t keep the curious fans away from the various venues which will see that non-Brums get an accidental tour of the city. Pop-up screening locations include the elegantly retro Electric cinema – the UK’s oldest running picturehouse, Kafe 6/8- one of the top 50 coffee shops in the UK and the edgy Custard Factory which feels more Berlin than Birmingham with its industrial personality from the days of making Birds’ Custard. With the new knowledge of Birmingham’s creative undercurrent and its growing interest in making movies, Flatpack comes highly recommended in the competitive film festival calendar and makes a great excuse for any buff to make a pilgrimage to this quaint but quality event. Flatpack is on throughout the week and has a hearty offering of films, talks and parties up until Sunday 31st. *Joan Collins might have been a guy in drag but we may have had too many cheese and pineapple sticks by then.